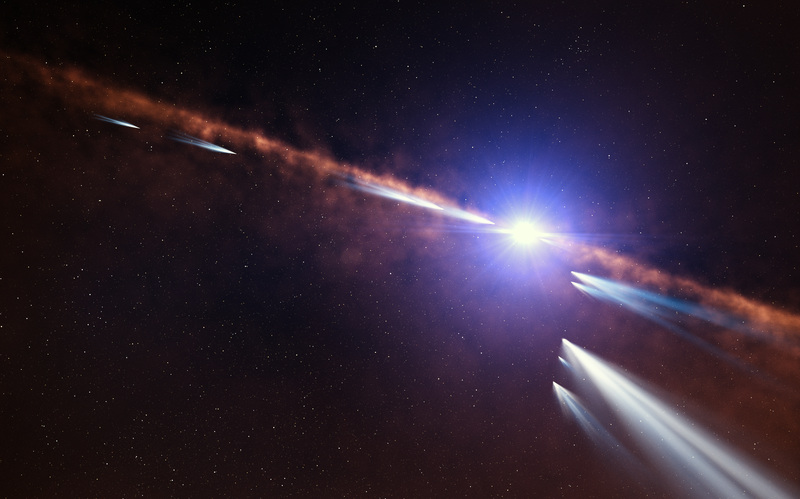 This artist’s impression shows exocomets orbiting the star Beta Pictoris. 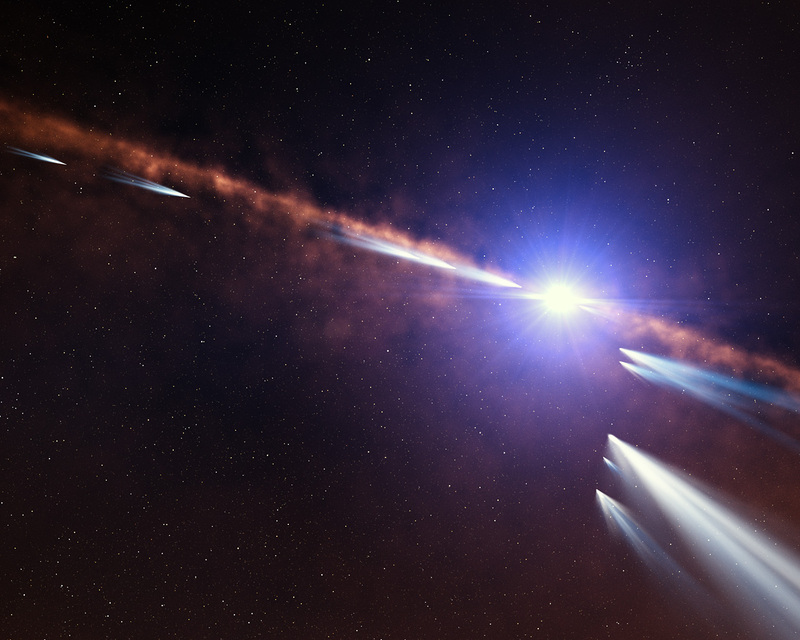 Astronomers analysing observations of nearly 500 individual comets made with the HARPS instrument at ESO’s La Silla Observatory have discovered two families of exocomets around this nearby young star. 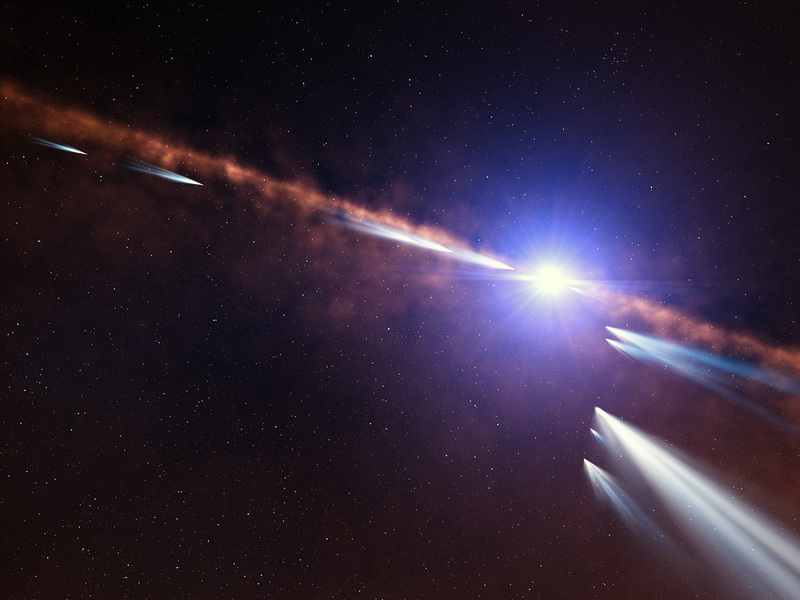 The first consists of old exocomets that have made multiple passages near the star. The second family, shown in this illustration, consists of younger exocomets on the same orbit, which probably came from the recent breakup of one or more larger objects.